From new product design to specialised toolmaking, our Western Australian based company can assist you with a comprehensive solution to your plastic product design and toolmaking needs. No matter what the industry, our friendly team will help you achieve the results you seek. We believe in partnering with the client to provide an in-house solution from concept through to final manufacture – art to part, so to speak! Utilising high end CAD design software, not only are we are able to produce innovative product and mould designs, we can also provide prototypes to test for suitability and, if required, make any necessary modifications. As the tool is the most expensive investment in product development, its design is crucial in the overall process. All tooling is fully CAD modelled prior to manufacture to enable fast and efficient product design changes, as well as ongoing tooling support. We produce both single and multi-cavity tools, all built with exacting tolerance, longevity and production efficiency in mind. Mould trialling is conducted prior to final production to ensure the customer is satisfied that the end product fits the original brief. 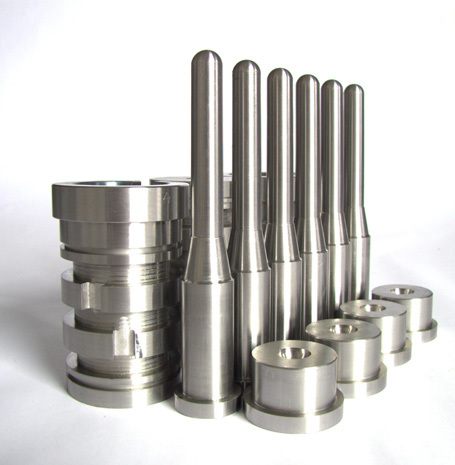 With a sophisticated in-house tool room that includes a five-axis CNC milling machine, our qualified and highly skilled team of toolmakers are able to manufacture greater precision tools with a quick turnaround time and at minimal cost. With expertise in plastic materials selections, testing and analysis, and knowledge of the plastic injection moulding process we have the ability to quickly react to your requirements. We also have a wide range of injection moulding and blow moulding machines to produce the end products - a complete solution from concept to finished product, and all under one roof. Quality assurance is paramount. Our injection moulded and blow moulded products are manufactured to ISO9001 standards. Professionalism and confidentiality is guaranteed. Our goal - get it right first time and on time. Quality assurance is paramount with our injection moulded and blow moulded products being manufactured to ISO9001 standards. Whether you want a single prototype, a small run of plastic components or mass production we can give you a cost effective solution.